Will 2017 be the year of voice search? Voice search was undoubtedly a phenomenon in 2016. We talked to you about it in a blog post in November, giving a few tips to help SEO and SEM professionals know how to rank for voice searches. Now that the new year has started, we have to ask ourselves whether we’ll see this new trend become completely popularized in 2017, to the point of becoming a true norm. Last summer, we learned that more than 20% of mobile Google searches were voice searches. On Bing, Microsoft’s search engine, this statistic rose as high as 25%. The emergence of this new type of usage has given rise to a new way of searching content online: Conversational search. 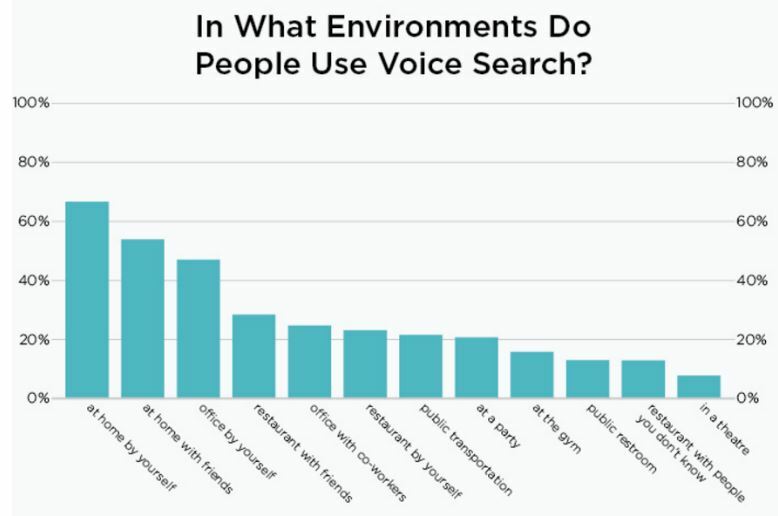 According to a recent study, 60% of voice search users would even be interested in getting the information they are searching for without having to visit an external site or application. Does this foreshadow the end of SERPs (Search Engine Results Pages), the pages of listed links that we get from search engines? No. Or at least, not in the near future, because old habits die hard. Still though, it’s impossible not to anticipate big changes in this sector in the years to come. 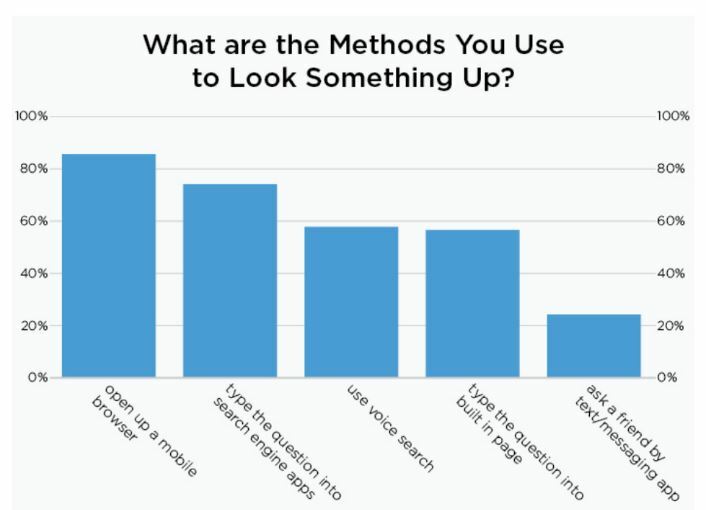 According to this same survey, 80% of smartphone users admit to still having the reflex of opening a browser or dedicated app (Microsoft, Google) to do a search. Also, the most recent statistics show that users are definitely ready to vocalize their searches, but they are still governed by the rules of politeness and decorum, and may even be a little timid. Essentially, we are seeing that the majority of mobile internet users are unlikely to use voice search in a public place or in the presence of strangers. They mainly use it at home, when they are alone (65% of the time), or with friends (55%). 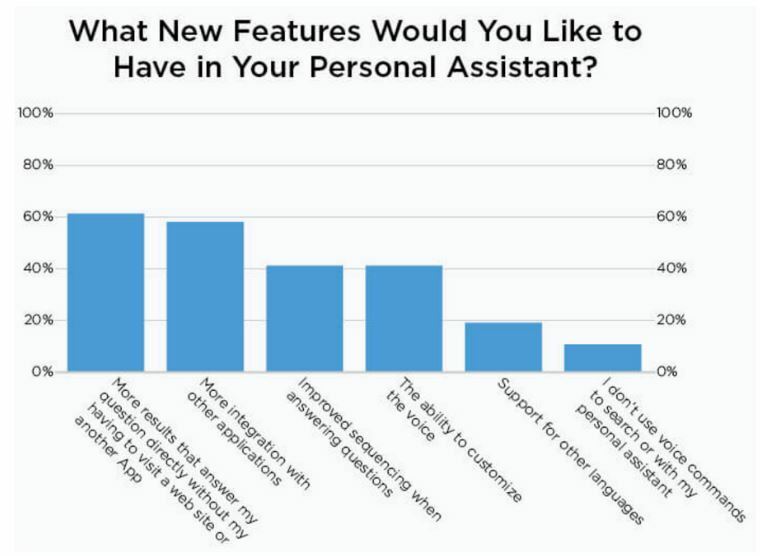 At the end of last year, we witnessed a number of personal domestic assistants hit the market. These are voice search tools that live not in your phone, but in an electronic box, intended to reside in your living room or kitchen. 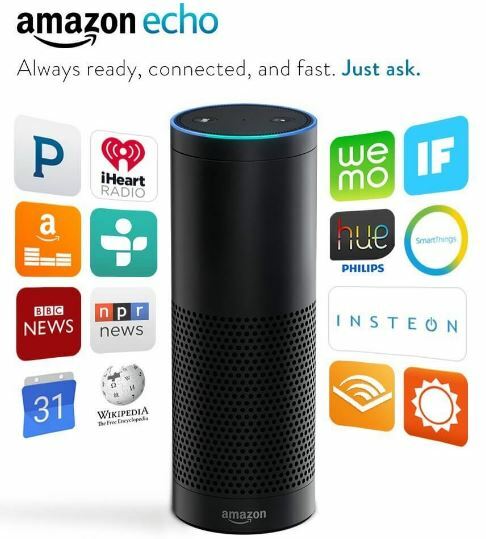 Newcomers to the voice search market, Amazon launched Echo, a voice-controlled wireless speaker. Thanks to Alexa, the personal assistant that comes with it, Echo lets you play your favourite music through Amazon Music or Spotify, and get answers to questions about the weather, the opening hours of a store, or the score of the last Canadiens game. A few weeks later, Google replied by launching its own domestic voice assistant: Google Home. This transposition of voice search from smartphones to connected objects for home use is a real and deep-rooted trend, and Google and Amazon aren’t the only ones getting on board. During CES 2017 in Las Vegas, Mattel, the toymaker, introduced Aristotle, a speaker that integrates two artificial intelligences: One for children (it can read stories, play with kids by making them guess, for example, the sound a horse makes), and the other for parents, allowing them to order diapers and milk online. These new gadgets may well accelerate the adoption of voice search by the public at large because they’re priced to move: They cost less than $200 USD, which makes them twice as cheap as the iPhone you’d need to access Siri. It seems that voice assistants are no longer the sole preserve of smartphones, and can be loaded into any electronic product. It remains to be seen how brands will monetize these new forms of search. Recently, Amazon admitted to having considered selling ad space on Alexa, its new voice assistant. Strong from his 8 years of experience in digital marketing, Sébastien is passionate about increasing the visibility and online sales of his clients. After working as a content creator for several years, he now works to promote content on major digital platforms. Dollarama is getting into e-commerce. What does it mean?